* 17.95 Oz. Made from waterproof fabric with gold-tone hardware. * Single zippered top inside the closure, flap front closure with magnetic snap closure. * Inner zipper pocket on back wall and a back zipper pocket. 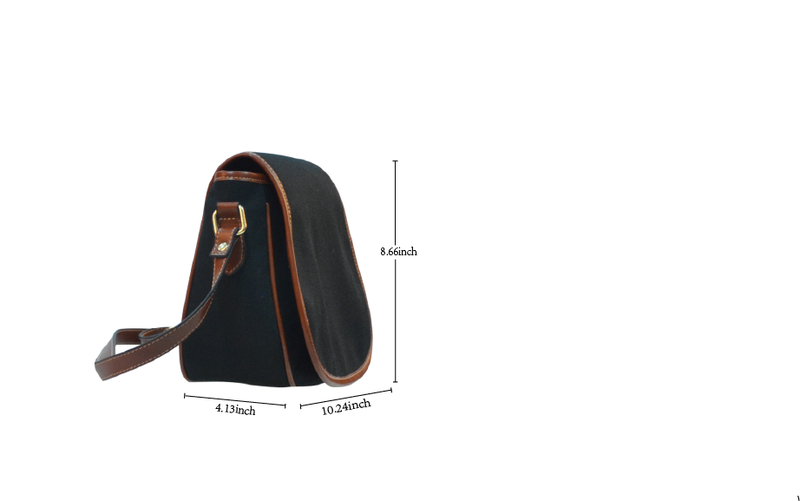 * PU Leather cross body shoulder strap with adjustable length. * Dimensions: 10.24"(L) x 4.13"(W) x 8.66"(H).